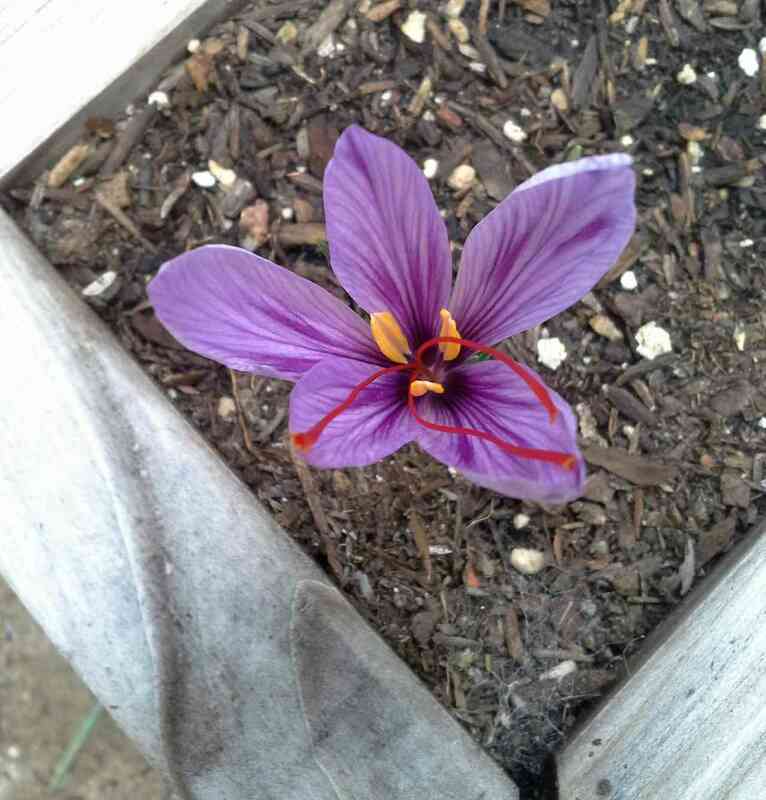 In my intro year of gardening, I think saffron flowers have been the easiest for me to grow. 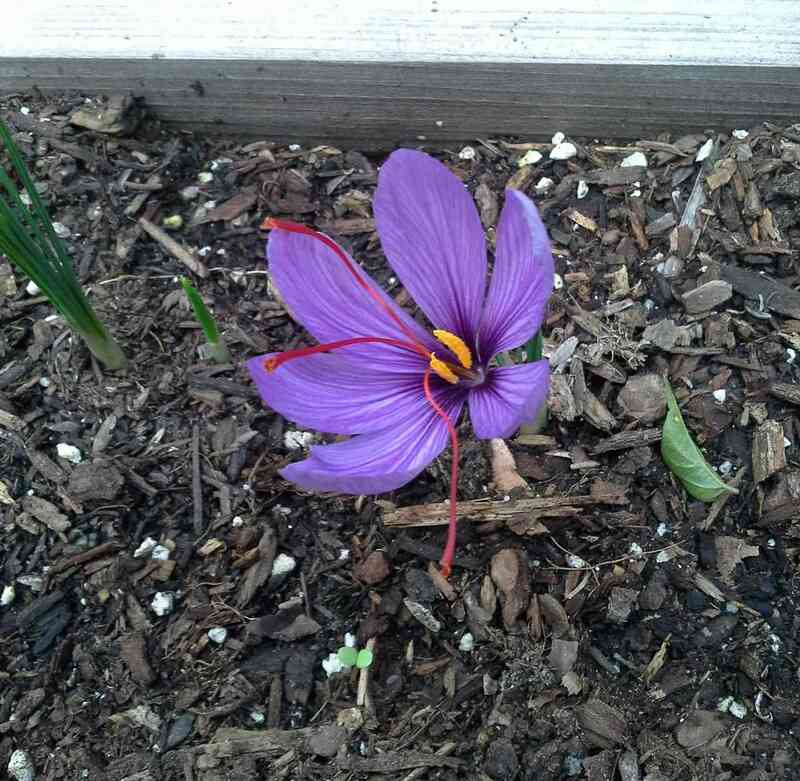 I ordered a small batch of edible saffron crocus corms from a seed catalog and planted them in early October. I pretty much forgot about them other than the occasional watering and I woke this morning to two beautiful purple blossoms! They are gorgeous. The saffron strands are a fiery red orange that stand out against the purple and yellow backdrop. I wish I had enough room for a large row of them so I could have fall flowers each year. 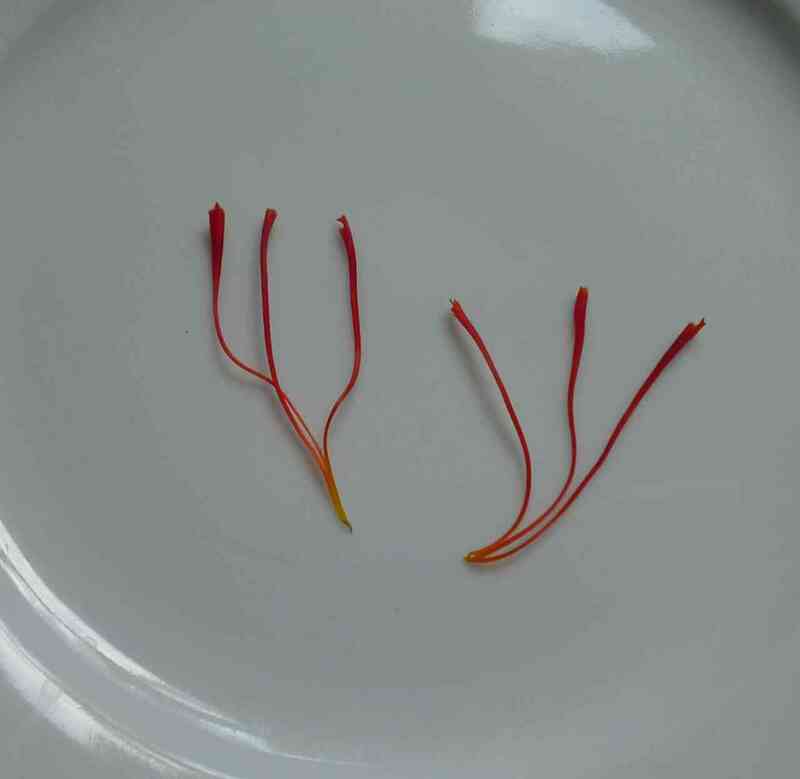 One day, we’ll make paella with these pretty saffron strands. These are really cool! I absolutely hate the taste of saffron, but it’s neat nonetheless! Oh, I’ll be happy to take any extra saffron off your hands! 😉 Even if you don’t eat them, they’re still so much fun to grow. I keep hearing about cooking with saffron. I need to try it, eventually. I can see why it is so expensive to buy, if one whole plant only gives you a few strands. Yep! I have 6 more flowers that should be blooming, so after harvesting those strands I’ll barely have enough to make one large batch of paella. But it’ll be neat to say that I grew them from my backyard! Wow! That is cool I didn’t know you could grow it! Interesting! Thanks! I actually didn’t know much about it either and just happened upon it while browsing a seed catalog. It’s pretty amazing seeing where saffron comes from. Great to see this lovely Crocus, I wonder if this is the real one that gives the Saffron, your post has inspired me to grow them too, thank you. I’m hoping they are the real ones! I got them from Territorial Seed Company, which said they were the edible kind. I can’t wait to see yours when you grow them! Have fun! They are so beautiful! Purple/yellow/red is now one of my favorite color combinations. Is it stronger than the saffron you get in the store? I’d be really interested in how it works in recipes. They are beautiful. I can see why it’s so expensive though, only 6 strands per flower! I’m hoping for at least 4-6 new flowers so we can have enough saffron for one meal! 🙂 I’ll let you know how it tastes. It definitely takes patience though – we are getting quite hungry waiting. That’s amazing! While it’s called for a lot in Spanish cooking I’ve never seen how it grows. I’ve just posted a recipe that I’m eating right now that uses saffron. Thanks for the lesson!